Elexcom fair last month was a success. 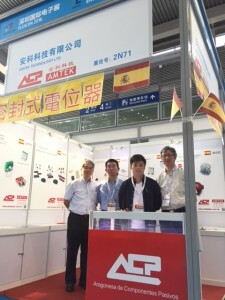 Thanks to all the visitors that dropped by AMTEK and ACP stand! AMTEK TECHNOLOGY, ACP’s official distributor in China, will exhibit and promote our new products in ELEXCON 2016 fair, at Shenzhen Convention Centre, on Hall 2/3/4, booth 2N71 from August 24 to 26.